If you are a Wholesale Customer with a retail sales tax ID number, please create an account and fill out the required information to see wholesale pricing. 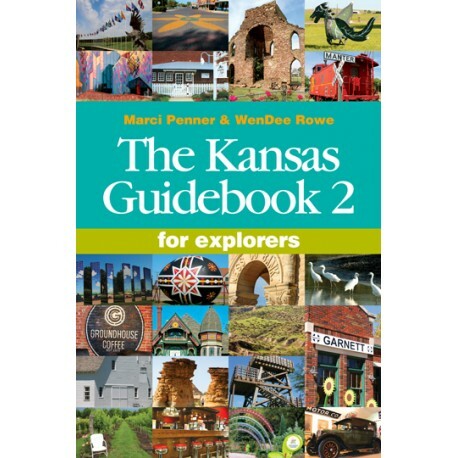 In June 2012, Marci Penner and WenDee Rowe, rolled onto the highway in a new GMC Terrain loaned by Midway Motors of McPherson and wrapped in colorful vinyl proclaiming they were on an Explorer Research Voyage to all 626 cities in Kansas to prepare for the new Kansas Guidebook for Explorers 2. The vehicle eventually - and affectionally - became known as ERV. After four years on the road researching and a year of writing, it is so fun to tell about the results: a coil-bound book with 4,500 entries and 1,600 pictures. Many will be pleased to note that 843 of those entries are restaurants, cafes, diners and dives! We have included things to see and do in 515 of the 626 incorporated cities and added offerings from 97 unincorporated towns such as Strawberry, Sunflower and Home. The book was edited by Bobbie Pray of Lawrence, designed by Marci's sister, Liz King, and printed by Mennonite Press in Newton. 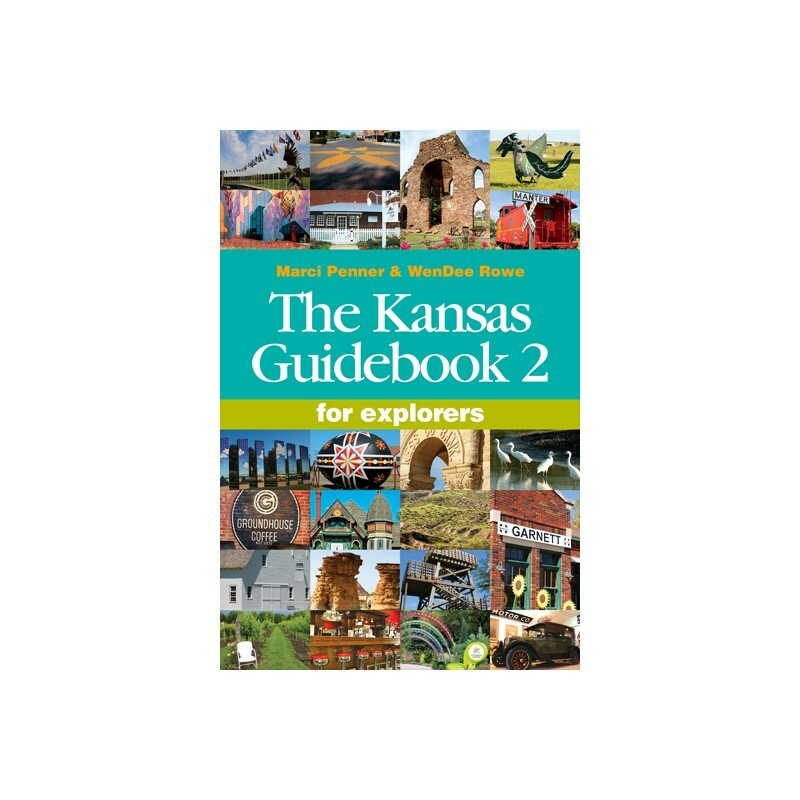 We are proud that the book is "all Kansas" and is only sold here and in locally owned retail locations throughout the state. Tax will be added for Kansas residents. The book measures 6" x 9" and is 1" thick. It weighs 2.3 lbs. Wholesale customers - books are packed 12 to a case. However, there is no minimum.